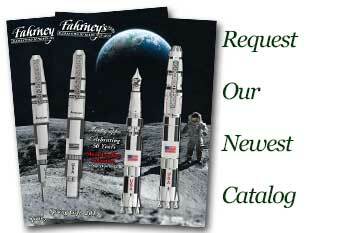 Order your Namiki Wave and Plover Fountain Pen today from FahrneysPens.com. Fine Pens, Refills & Luxurious Gifts – great prices & fast shipping. The Namiki Yukari Collection transforms traditional scenes from nature into striking fantasies. The master artisans at Namiki use the combined techniques of Togidashi and Taka-maki-e to hand-apply gold, lacquer and color pigments to capture the beauty and essence of Japanese culture. Each Yukari pen can take up to four months to complete. 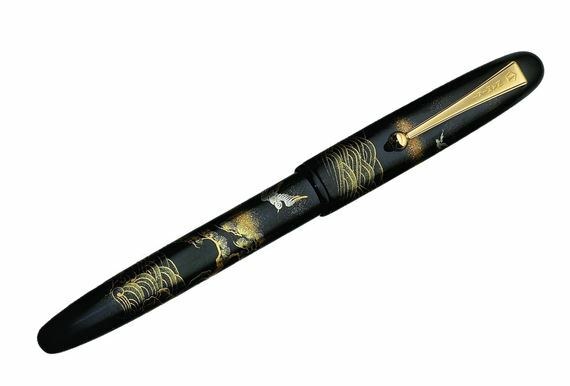 The Wave & Plover Yukari has a solid 18K gold nib assuring impeccable writing performance. Comes in a traditional Oriental wood gift box with a bottle of Namiki ink. Uses cartridges or converter.